The Lenhart Electric service and repair department has electricians that are knowledgeable in commercial and residential wiring. At Lenhart Electric our employees stand out for being prompt, professional and efficient. You will always be able to identify an electrician from our company by his company attire and service vehicle. All will bear our logo. We have been patiently waiting for your call since 1948! 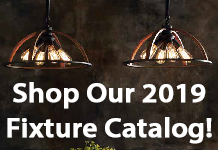 Please give us a call at 352-748-5818 for any electrical work you may need whether it is adding a receptacle on your lanai, repairing that light that has not worked for years or to install the new ceiling fan you have been thinking about. We schedule service trucks from 8am to 4pm, Monday thru Friday, but should an emergency arise after hours, click here to reach us – we have professional electricians standing by that would be glad to help. 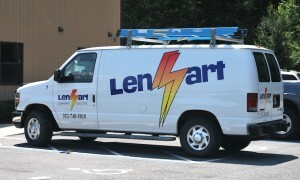 Lenhart Electric is licensed, insured and proficient in all areas of electrical service and repair.